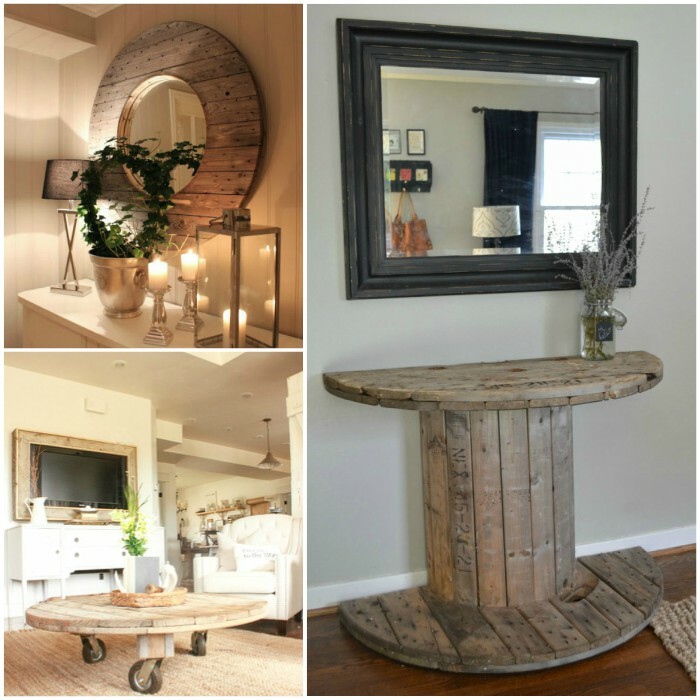 If you can find one, you can turn a wooden spool into a creative, rustic DIY project for the home. Can’t find one? Try looking at your local home improvement store. Lowes and Home Depot sell several products that come on the large wooden spools, and if they’re empty, they’ll give you the spool for free in most cases. Electricians may also have some stashed away! 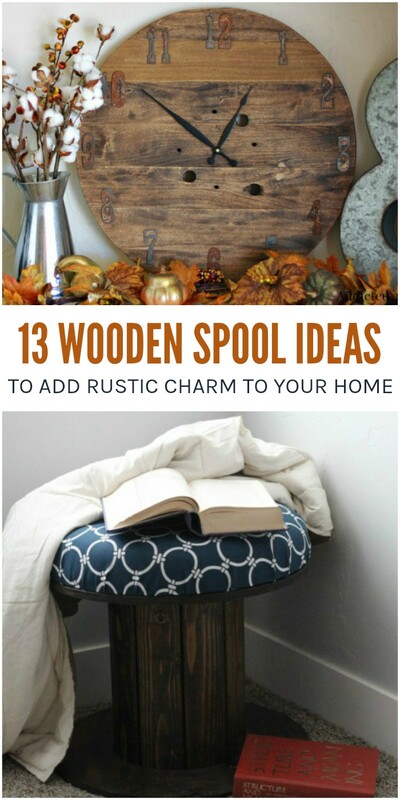 Once you get your hands on one, try one of these wooden spool ideas to add rustic charm to any space. Need extra seating without taking up a lot of space? A wire spool stool makes a nice addition to any room, and you can tuck it in a corner if you’re in a small space. 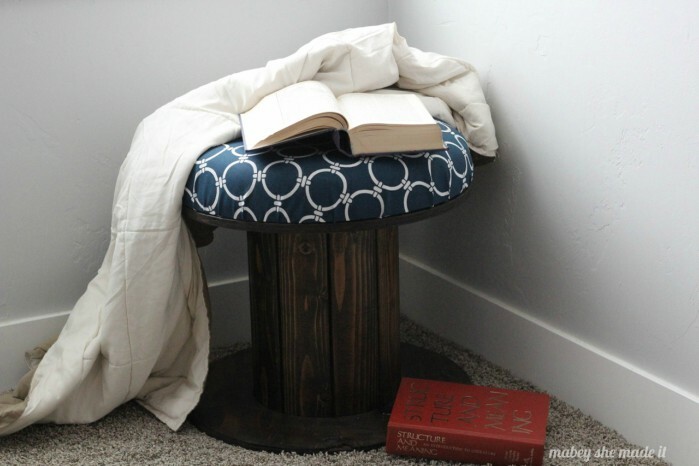 Or just use part of it to create this salvaged spool ottoman. 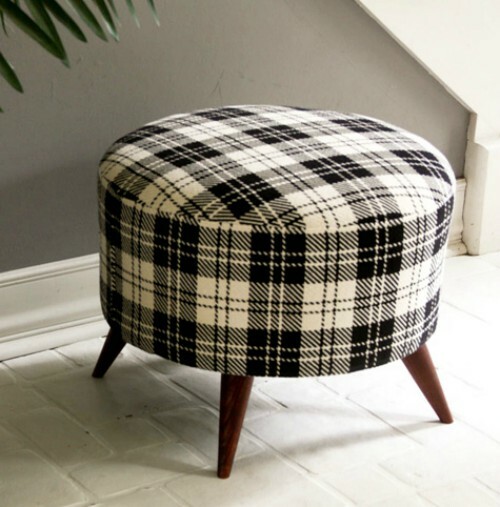 Both the stool and the ottoman are lovely. 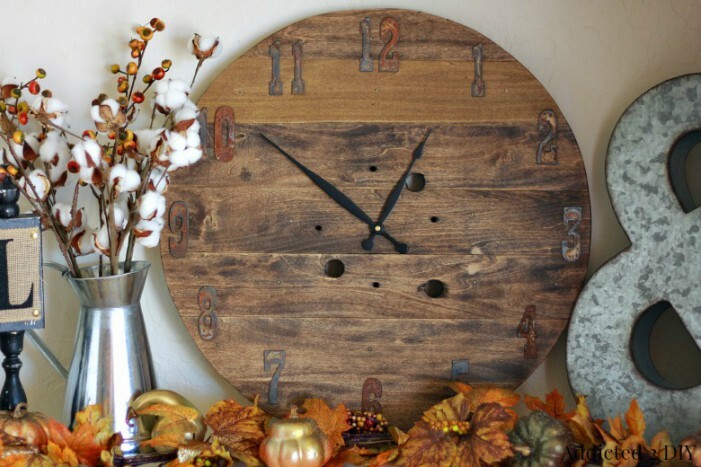 This DIY rustic wall clock is gorgeous! We love the oversized look, so if you have a large wall or mantle to fill, this is the perfect project for you. 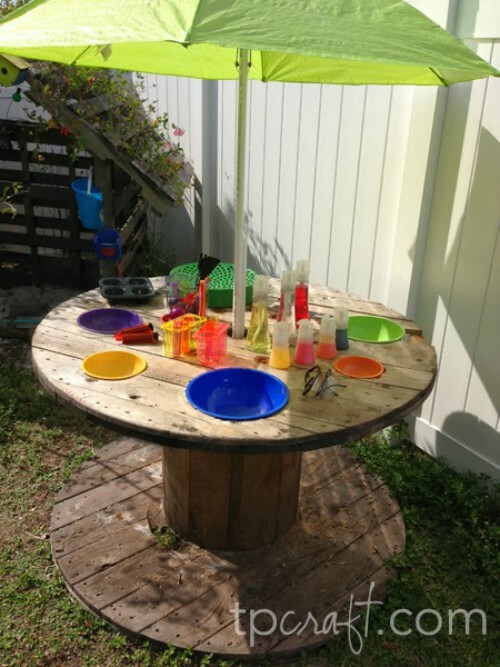 An outdoor science lab and play kitchen will be such fun for the kids! 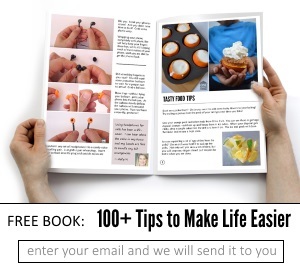 They can create and concoct all kinds of fun things without making a mess in the house. 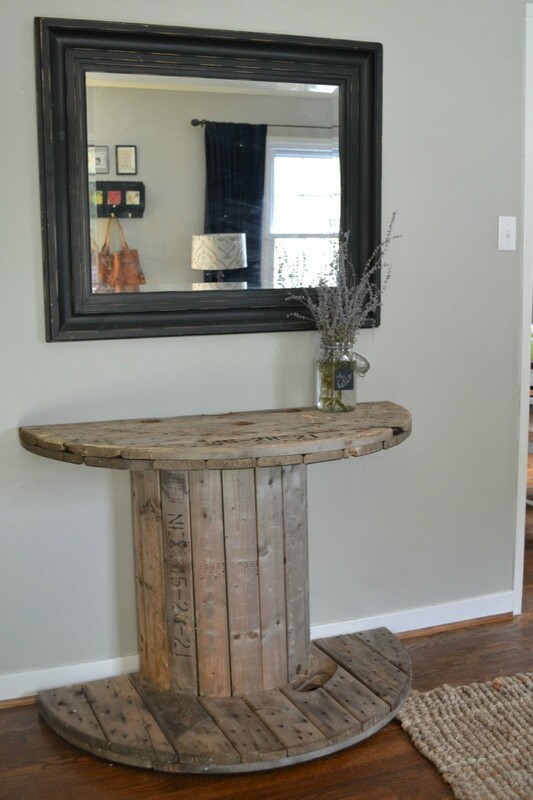 Cut a wooden spool in half to create a rustic console table (or two). They’re terrific for the foyer, hall, or as a desk that doesn’t take up too much space. 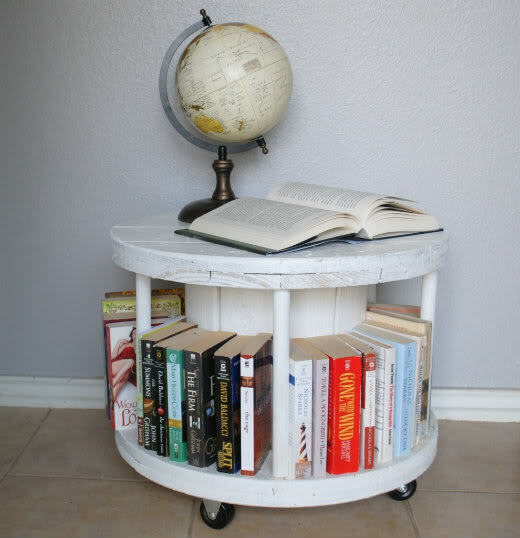 Create a movable spool bookcase to house your favorite books. This is a great bookcase for the kids’ room or your craft room. 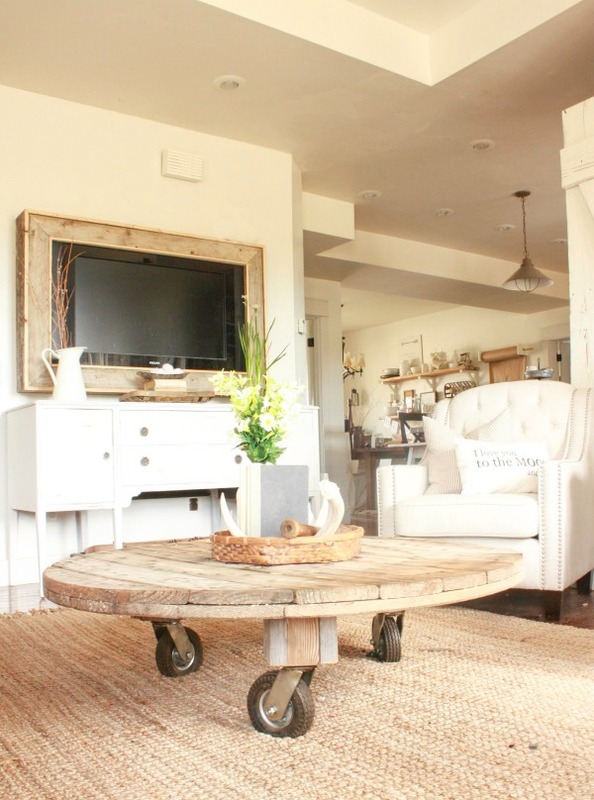 Wire spool tops or bottoms make generously sized coffee tables. Put wheels on the bottom to move it around when you need it. 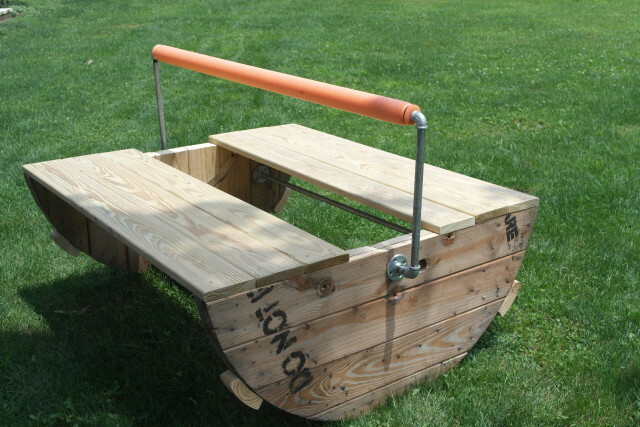 Here’s another fun idea for the kids: a spool see-saw! A couple of small kids can sit on each side, doubling the fun. 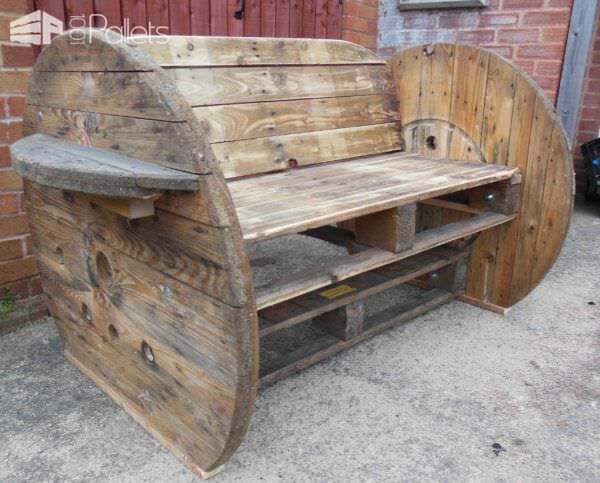 Combine pallets and cable drums to create an outdoor bench for your garden or patio. 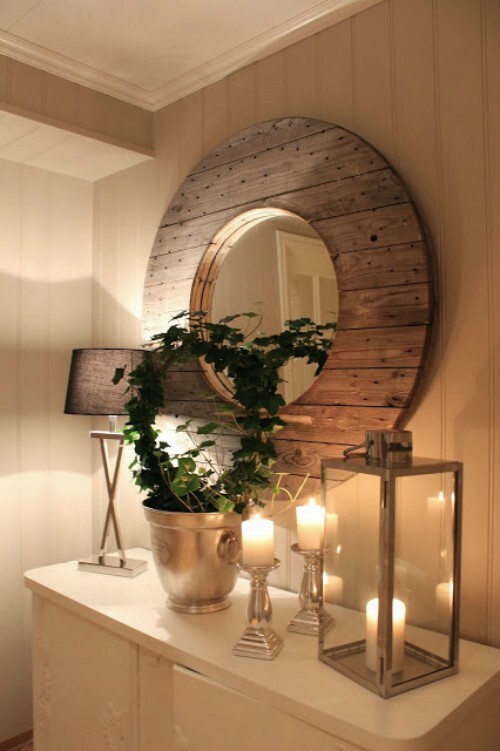 Cut out the center of the spool and add a mirror for a gorgeous DIY mirror for your bathroom or bedroom. 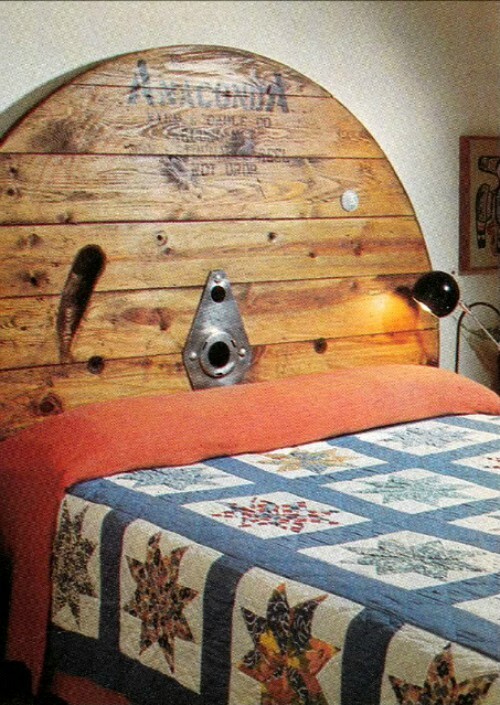 Remove the top of the spool and add a coat of varnish to create a rustic cable spool headboard. 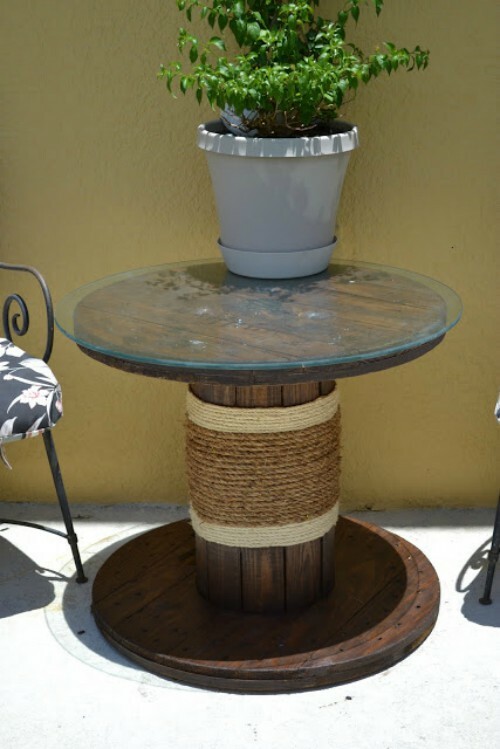 Stain the spool a darker color, add some rope in two colors to the middle, and add a glass cover to create this Ballard-inspired patio table. 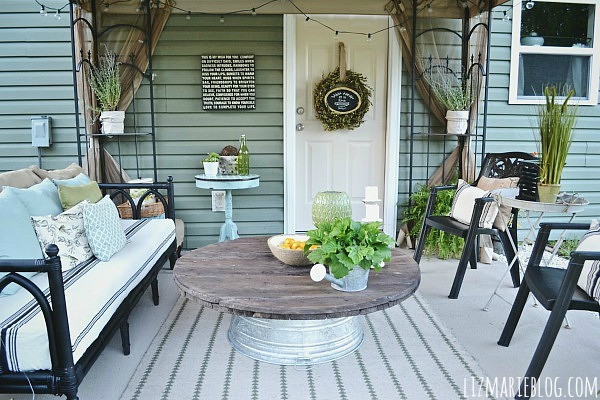 A wire spool and metal tub coffee table will make a great addition to your porch or patio!